Co-working! Is it for you? 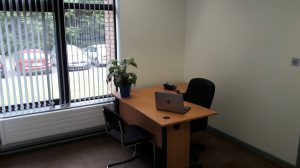 So, you are looking for an office! One with a view and plenty of parking for you and your clients. Think it’s impossible! Well nothing is impossible, especially here in Cork. Think newly decorated office. Think of a window with a beautiful view outside it. Think parking, and easy accessibility. Contact us today on 0214536199 to make an appointment. We look forward to hearing from you.